Originally from Honduras, Maria Aide, or Ms. Vic as she is affectionately known, decided at the age of 17 that higher education was not for her. She ran off to register herself at sewing school in Honduras, not knowing a stitch about the craft, but managed to become quite adept at the skill. She arrived in Belize with her three daughters, seeking a better life for herself. She somehow managed to make it to the island of Ambergris Caye in 1990 – and the rest, as they say, is history. 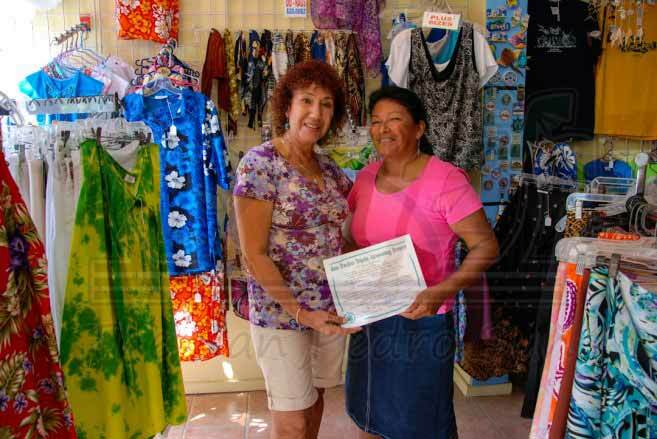 “For the past 12 years, Ms. Vic has been the backbone and talent of the business,” says Aida. She makes every stitch of clothing available to sell and on order.